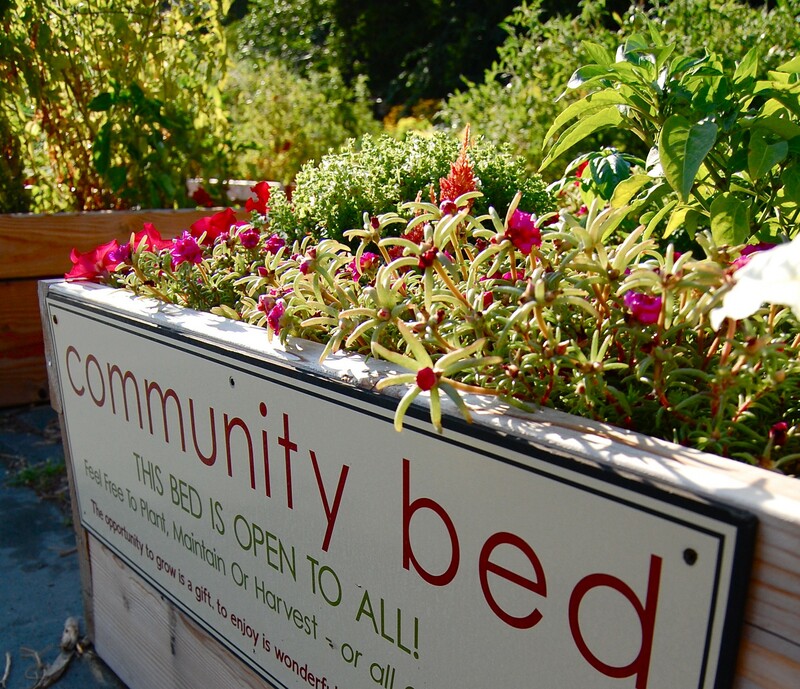 Growing Community Gardens Leadership Training Series – Apply Now! Great news! 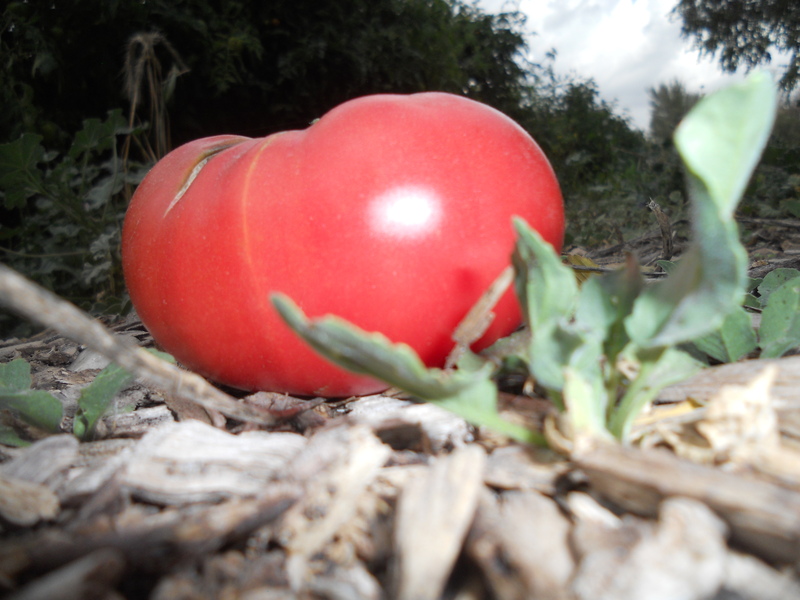 Our friends at Wasatch Community Gardens will once again offer their popular Growing Community Gardens leadership series. Growing Community Gardens is a 6-week leadership training series facilitated through community gardening concepts. This is ideal for individuals or groups interested in community garden organization and development, focused on building skills, sharing ideas and identifying resources for developing successful community gardens and school gardens. 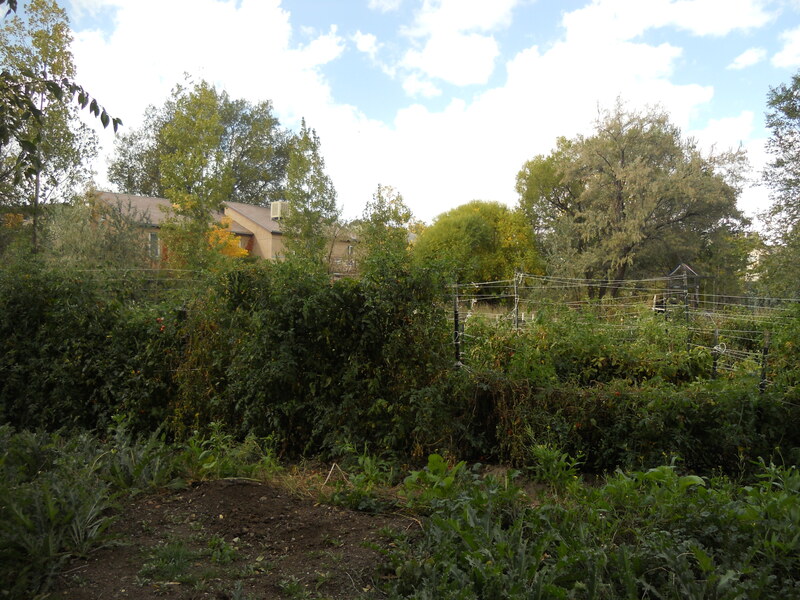 Upon completion of the training, participants whose projects meet program requirements are invited to join our network of garden leaders, continuing to connect their community gardens with Wasatch Community Gardens resources, as available, throughout the year. Classes focus on community organizing, and cover such topics as leadership, diversity, volunteer management, facilitation, and garden design. $65 for all 6 sessions. Scholarships available. Payment is due upon acceptance into the training. Applications are due by December 1, 2014 — enrollment is limited so apply today! Are you interested in gardening and farming? Do you want to know where your food comes from? Would you like to start a community garden in your neighborhood? Are you interested in leasing land for small plot farming? Do you care about local food? 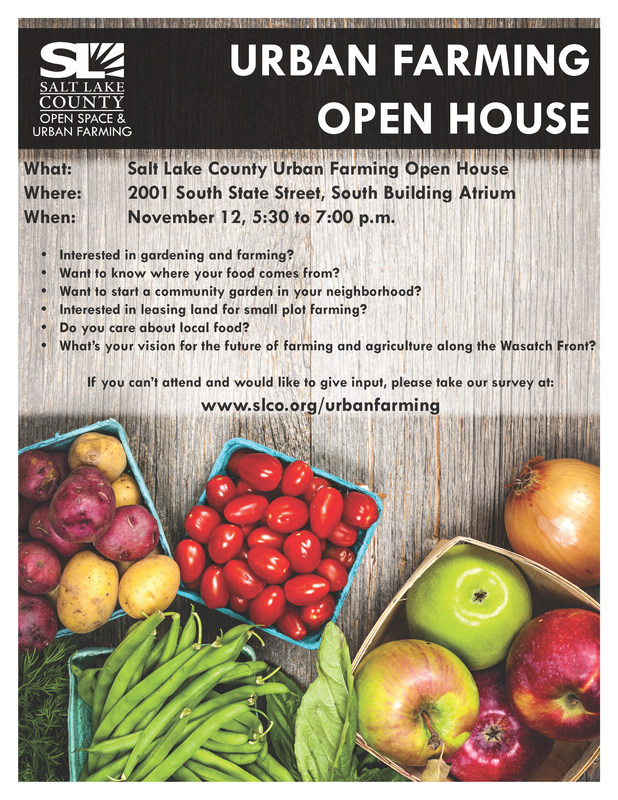 You’re invited to attend Salt Lake County’s Urban Farming Open House! When: November 12 from 5:30 to 7:00 p.m.
Blog post by SLCgreen’s Laura Schmidt. Thinking of starting an urban garden? Dig right in! Recently, the “Live More with Less” conference highlighted urban gardening as a practical and meaningful way to be more connected to your food and to improve your quality of life. Kevin and Celia Bell, urban homesteaders for over ten years, have turned their yard entirely into a garden. Wanting to know more about the Bell’s urban homestead, they took me on a tour. Upon wandering onto their property, I was instantly captivated by the colors and the accessibility of food. The front yard has a diversity of life growing: apples, grapes, roses, currants, hazelnuts, cherry, horseradish, and service berries. After admiring the front yard, we entered the backyard through a gate. Every inch of the backyard was covered with life! I toured their half acre plot of land in Autumn and not in the full growing season. Among the 40 beds, each 4 x 25 feet, I saw plenty of greens, reds, oranges and yellows. 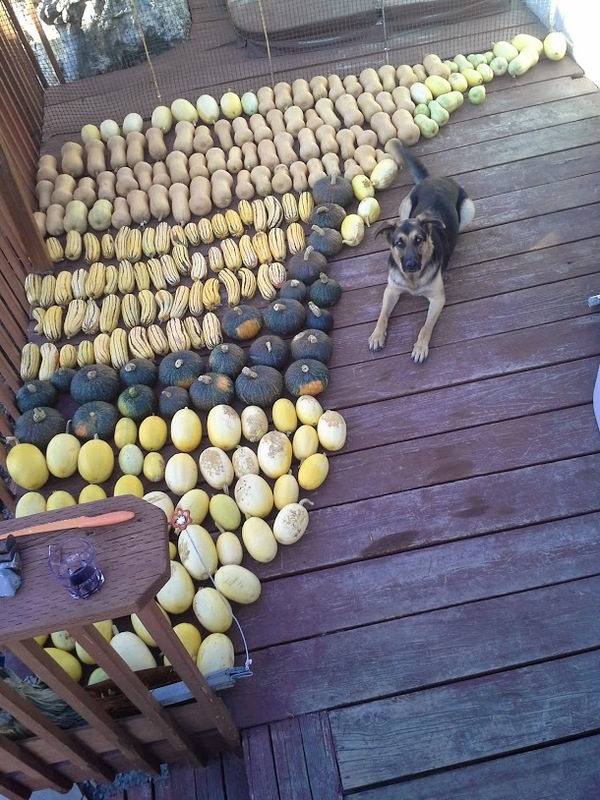 “I just harvested about 600 lbs of winter squash from 450 sq ft!” said Kevin Bell. These urban homesteaders also raise chickens and bees. 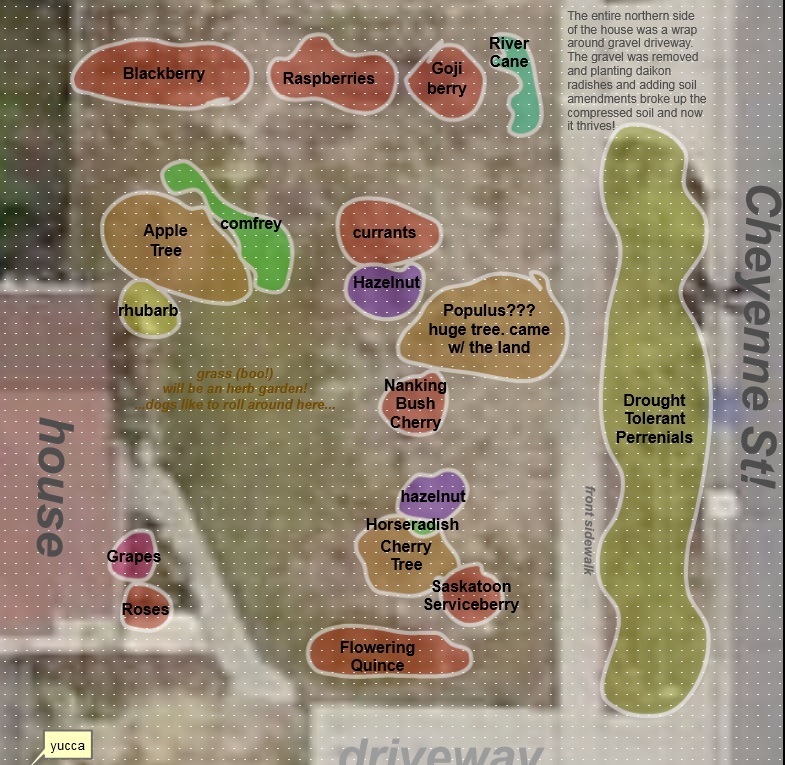 Surrounded by several urban gardens, Celia and Kevin have a community of farmers right next to them. Their farm is adjacent to B.U.G. 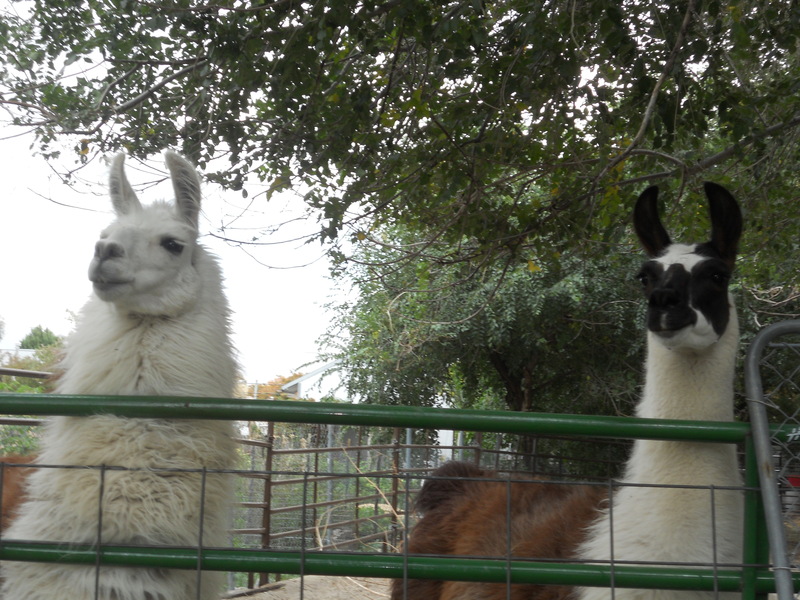 Farms, a community garden, Wasatch Commons, a cohousing neighborhood, and two beautiful llamas. It might be unrealistic to transform your entire yard into a garden, but we all have to start somewhere. Perhaps a good start is to grow plants in your house or apartment. Tomatoes seem to be a easy first plant. If you’re looking for something a bit more substantial, a small plot is easy to manage. Using the Arable Land Map, you can assess how much of your yard is available for gardening. With a little time and care, you can be eating the food you grew with your own hands! If you need more inspiration before joining the Urban Gardening revolution, join us at Brewvies Cinema Pub, tonight for a viewing of Growing Cities, a film about urban farming in America, examines the role of urban farming in our culture and its power to revitalize our cities and change the way we eat. Learn more. Doors open at 6 p.m. Seating is limited. Movie starts at 7 p.m.
Several years ago, Salt Lake City embarked on a ground-breaking initiative to incorporate sustainability provisions into zoning and subdivision ordinances. The project set out to revise and expand upon existing ordinances that were out of date and/or put up barriers to sustainable city practices. Several ordinances have already been adopted by the Salt Lake City Council, with a the rest making progress along the approval process. Get a complete update on the project on the SLCGreen website.